Time to see if all the time you spent blowing bubbles as a kid has paid off. You will use both agility and breath support to try and become victorious in this game! 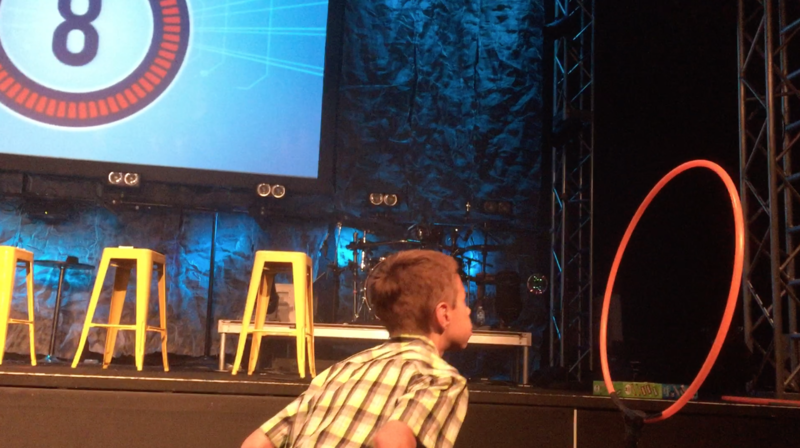 You must attempt to blow a bubble half way across the room and through a hoopla hoop to win. It may sound easy but wait until you try it. And did I mention you only have 60 seconds to complete it? Good luck! Bubble Wand and Bubble Juice. Any standard bubbles from the dollar store will do just fine. Just make sure they are not the super cheap kind that don’t even make good bubbles. Hoopla Hoop. Just a standard hoopla hoop will do here. Nothing fancy. You will need a starting line. This will be where the contestants will line up and have to return to every time they go to blow a bubble. You will also need to prop the hoopla hoop up preferably around 3ft in the air. You can tape it to a chair, prop it with a mic stand or just set it up on a table. Just make sure it is tall enough so the contestants can blow the bubble through the hoop without having to bend over. One contestant at a time. You only get 60 seconds to complete the task at hand. 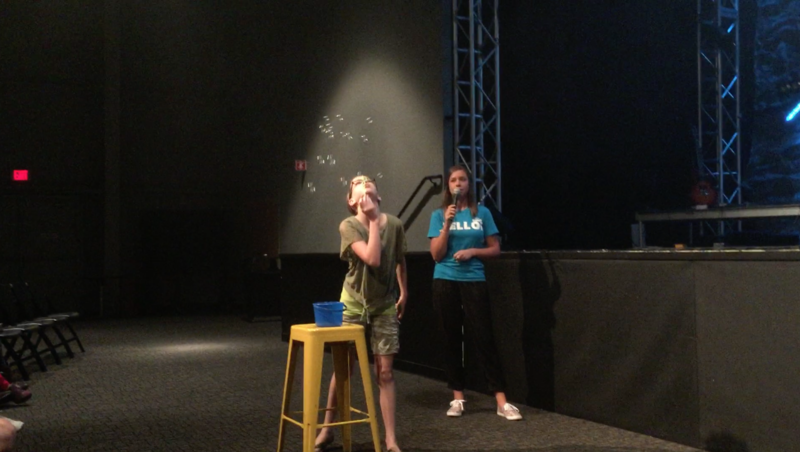 Behind the starting line the contestant must blow a bubble using the bubble wand. You then have to blow the bubble from the starting line over to the hoopla hoop and blow the bubble through the hoop. 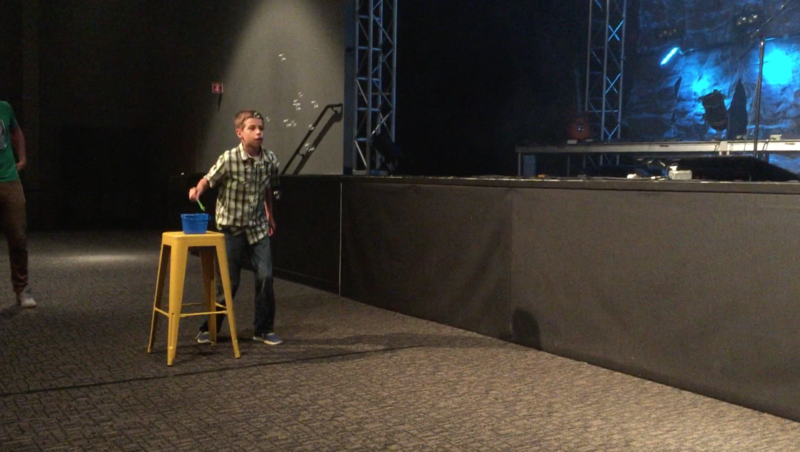 If the bubbles hit the floor or pops, there is no penalty, but the contestant must go back and blow more bubbles in attempt to blow them through the hoop. If you blow a bubble through the hoop before 60 seconds you have won, but if you fail to do it in under 60 seconds you lose! It’s harder than it looks folks!